To score four runs, the batsman typically hits the ball along the ground to the boundary. 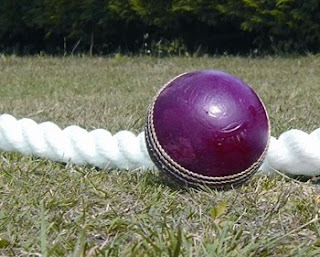 By hitting the ball along the ground, it prevents an attempt for a fields man to catch a lofted ball. This kind of shot also needs to be timed, and played with power, as well as placement to get the ball past fielders. The same is true that we need to use our time to get educated, which means we placed into a certain work field, and given power to get passed the boundaries that hold us down. There is power in getting your High School diploma, which is a start. However, we now live in a day and age where it is almost necessary to get more than just a high school diploma in order to provide for oneself and family. You need to get more education on top of that. Without an education you may just lofted your life in to someone else’s hands and be out of control. Now, I am not saying you need to go to University and earn a bachelors, masters and a PhD. If you want to repair airplanes, get that education. If you want to be an electrician, get that training. Get the training for what you want to do. Go to college, university, or a trades-school. Recently, I have been marking for a University course. One of the assignments was for students to plan for their future. Some students were planning on getting more education, which is great. However for some it was a plan to get a couple of bachelors. It seemed redundant. So I must say, get higher education, not just more education. It would be better in this students case to get their bachelors and proceed to get a masters. Education has the ability to unlock many potential doors for careers. It has been shown in many studies that the more education you have the more likely you are to have secure employment and higher pay. Again though, a word of caution, make sure that more higher education in your chosen field translates into more pay and securer employment. So go out and research your desired career, and get the necessary education. For the Canadian readers, I recommend this website to understand what the requirements are to get into your chosen career path.